As ordinary beings, we all make mistakes. Overwhelmed by our emotions, we act in ways that we later regret. Can we really drop the burden of guilt and shame? Can we really cultivate forgiveness and compassion instead? 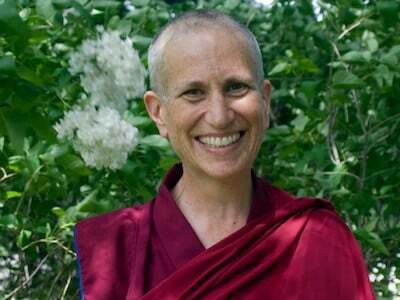 Venerable Thubten Chodron leads us on a weekend vacation from our afflictive emotions, offering teachings and practice sessions on ways to let go of our past negativities and create the causes for long-term happiness. Saturday, Sept. 30, 10-12pm and 2-4:30 pm. Ven. 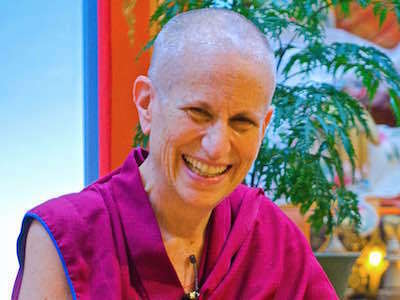 Chodron continues teaching from Good Karma: How to Create the Causes of Happiness and Avoid the Causes of Suffering and gives guided instruction on the Vajrasattva purification practice. Learn how deity meditation and analytical meditation can help harness the power of the mind to release disturbing emotions and cultivate beneficial mental states. In this public talk and webinar, Ven. Chodron unpacks the practice of purification, showing us how to apply this powerful psychological tool to heal the mind , overcome negativity, and develop inner peace.